Few fans have taken their love of anime and Space Battleship Yamato farther than Ms. Ardith Carlton. As a teenager, she not only devoured Star Blazers in its first run on American TV, she also made it all the way to Japan just in time to see Be Forever Yamato…on the big screen…on opening day. That alone would qualify any fan for lifetime honors, but for Ardith it was only the beginning. She played an active role in the early years of American anime fandom as a translator, preceding this website by a good 25 years with her work on Space Fanzine Yamato. She wrote for many publications, including the groundbreaking Robotech Art I. 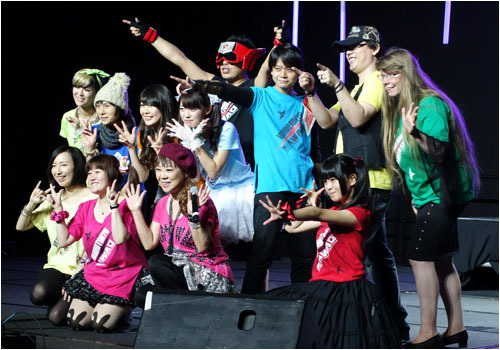 She eventually returned to Japan to join the HobbyLink staff and become an avid follower of live anime song concerts, not to mention a performer in her own right. 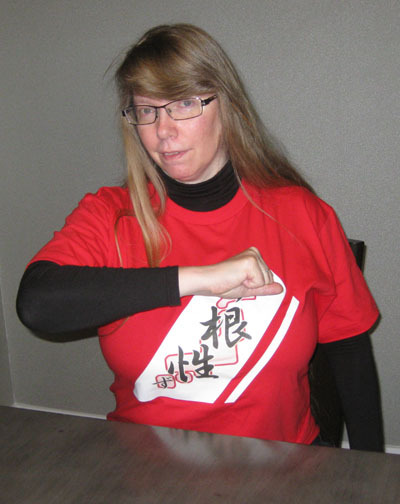 As one of the first Star Blazers/Yamato fans to make a name for herself, her past crossed my own plenty of times, but we never had the chance to sit down and chat until we found ourselves at Anime Weekend Atlanta 2014. She was there with legendary anime songstress MiQ, who had trained Ardith and several others as a voice coach and even joined them on stage for a live concert. These are just a few of the highlights we covered in this two hour conversation recorded on September 28, 2014. Take my word for it, you’ll want to hear all the others. Ardith discovers anime through Kimba and Battle of the Planets, then gets her mind blown by Star Blazers in 1979. Less than a year later, she’s in Japan just in time for Be Forever. How the hell did THAT happen? Ardith recounts her first visit to Japan during Yamato‘s summer of love, we get SUPER geeky with music trivia, she shares her first discovery of Saraba Yamato, and we discuss other big-screen experiences one can only get in Japan. Back from Japan after her unique experiences, Ardith goes underground to find other anime fans, becomes an active translator, describes the big Yamato movie switcheroo at Worldcon ’83, and revisits her work on Robotech Art I.
Ardith breaks away from anime for a while to follow her other passions, but eventually finds herself drawn back to Japan where she joins up with Hobbylink, witnesses the 2011 Tohoku earthquake in person, and lives a life to sing about. Ardith’s early inklings into Japanese cartoons mirrors how I felt about it all growing up. Cable TV certainly helped if those shows weren’t offered locally and you got to watch out-of-town stations from 60 miles away or even SuperStation mammoths like WGN or WTBS. Although I’m from Ohio (Toledo), I feel I fall into the same pattern as you guys. Gallerie International was more a small production outfit that mostly did TV commercials during the 70’s. The studio itself was originally founded by one of Chuck Jones’ animators Abe Levitow along with David E. Hanson (originally it was called “Levitow/Hanson Films” but was changed to Gallerie after Abe’s death). I see a fanpage for Battle of the Planets tells us about that otherwise. The days of running films on 16mm was on it’s end by the early 80’s when video post-production and distribution made projecting films in realtime a thing of the past for many stations in the country, though Japan kept that going another decade I noticed in watching old broadcast recordings of anime.